Schools remained closed after Diwali but the residents of Delhi did not have the slightest excuse to celebrate. Smog descended the day after Diwali and dangerous pollutants pervade the air. The same set of causes is claimed across sources, and each claim highlights one cause over the others. 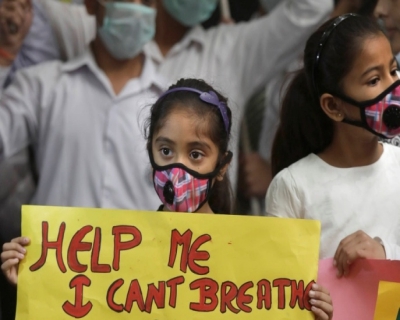 Delhi’s Chief Minister Arvind Kejriwal called Delhi a ‘gas chamber’. Delhi has now descended into dangerous depths of pollution. 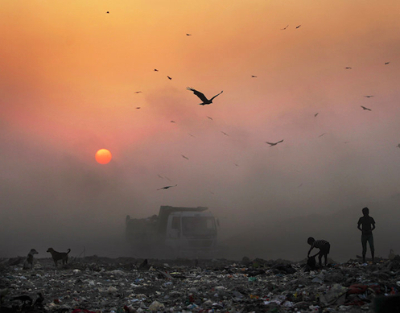 What are the indicators and consequences of Delhi’s pollution? The Hindustan Times Air Quality Index monitor found 10 of the 17 places it tested on Friday at 9 am to be submerged in dangerous pollution levels. Connaught Place had a PM 2.5 (fine particulate matter less than 2.5 micrometers in diameter, an air pollutant that hinders visibility and is known to be hazardous to health, and in case of sustained exposure, to life, and is made most dangerous by its ability to enter deep into the respiratory tract) density of more than ten times the permitted upper limit. Pollutant recorders reveal an alarming situation. On 31 October, at 2 am, Delhi Pollution Control Committee (DPCC) readings of PM 2.5 reached 883 micrograms per cubic metre in Anand Vihar and the reading in RK Puram was 748. 60 micrograms is the safe limit for a cubic metre of air. US Embassy’s pollution monitor recorded beyond severe levels of PM 2.5 even in areas which are considered moderately polluted even when air quality is at its worst. Some schools across Delhi remained closed on Friday and others cancelled outdoor activities. 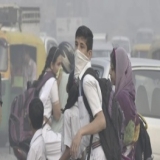 On Saturday, more than 1,700 primary schools were closed as air pollution remained severe in most areas in Delhi on Friday. Schools remain closed till Thursday and the government has banned construction activity till Saturday and Bardarpur power plant will be shut for the next ten days. 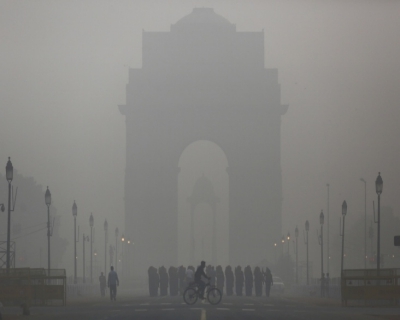 Smog in Delhi on Wednesday was said to be the worst in 17 years. On Sunday, the average PM 2.5 level at all measuring centres was rated severe (the worst possible category on an Air Quality Index scale). PM 10 level at 4 monitoring stations was rated severe. We cannot afford to get away with the impression that other Indian cities are less hazardous just because Delhi makes news more often. The level of research in Delhi and the consequent coverage exceeds that in other cities. If more studies were conducted in other regions, the analysis may differ. Pollution in Delhi receives greatest coverage in October and November. This is when external causes highlight the miserable atmosphere. But that doesn’t mean Delhi is a mere victim of environmental abuse by its neighbors throughout the year. We can’t fail to act by making the excuse that more studies need be done. Any measure that addresses only one source of the problem without heeding to others is a wasted measure in the long run. When in the past were efforts taken to counter this? 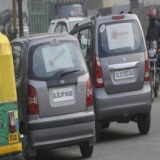 Based on past experience, the apex court this year thought it would be a progressive step towards tackling Delhi’s pollution by re-using the CNG rule for taxis. Apart from cost hurdles, a paper by the Centre of Science and Environment said that retrofitted vehicles translated to a decline in effectiveness of pollution control relative to new pre-fitted vehicles. 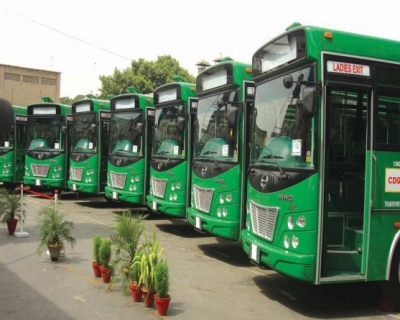 According to the paper, “Global experiences have shown that poor quality conversion and diesel to CNG conversion can be particularly problematic and if not done well, gaseous emissions can escalate.” It also said experience had revealed poor support from retrofitters (businesses which undertake the shift from diesel to CNG) and lack of ability to provide a robust redesign. The Court later modified its April 30 deadline to ban all diesel-powered taxis. Instead it allowed taxi drivers who drove diesel-powered taxis to continue operation till their permit expired but ordered that new registrations would be allowed only if the taxis ran on dual fuel (petrol CNG) or petrol or CNG. The government had to ban registration of "in-use" vehicles retrofitted with CNG kits earlier this year as it confronted numerous complaints of fake kits. The ban was lifted in September. Where are some of the other measures adopted? Beijing was once called the world’s most polluted city. WHO said more than one million people lost their lives to pollution in China in 2012. The core of China’s National Air Pollution Action Plan is a scheme to get big metropolitan regions cut down on coal usage. Coal burning – the biggest single cause of air pollution – decreased for the first time in 2014 from 2013. Li Yan from Greenpeace China also said the market for renewable energy was expanding. This in combination with a dropping demand for coal would herald a positive change. Beijing has also begun to incentivize poorer households to replace heating systems from coal to electric and aims to continue to do so. Monetary incentives enabled replacement of 3.4 lakh older vehicles with new ones and cut down 40,000 tonnes of pollutants from the atmosphere. It has also employed stricter action on owners of heavy vehicles that are non-compliant with emission standards. China adds more than 300,000 urban buses to the transport system every year and has begun to explore the possibilities of hydrogen fuel cells. Technology-wise, Beijing aims to build a network of ventilation corridors connecting greener areas such as parks and lakes to highways and low-rise buildings to improve airflow and blow away smog and other pollutants. The effect of this innovative measure is disputed. Awareness. Tremendous public pressure spurred all these efforts. Even so, innovative awareness efforts such as launch of the Smog Free Tower seek to spread knowledge of the environmental problems. China has faced and continues to face more than its share of obstacles that thwart progress in smog control. Drive for economic empowerment at the cost of public health, maintaining denial for a long time, the unforeseen economic slowdown, far from proper enforcement are among major concerns. The coming winter months in China will be a major test of its claims and show where it stands in combating smog and air pollution. Past experiences in Belgium, Donora town of Southern Pennsylvania, and London – heavily industrialized cities – which were once crippled by smog are worth examining. Awareness and effective laws which were strictly implemented greatly improved the situation. Restricting the fires set by farmers to their rice and wheat fields in Punjab and Haryana will make much more difference than temporary bans and campaigns to reduce fireworks. Despite the National Green Tribunal’s ruling that governments must stop the practice of burning rice straws by farmers, NASA images show no decrease in the practice. 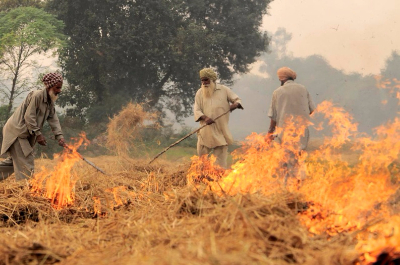 Smoke from crop fires in winter months constitutes about 25 percent of the most dangerous air pollution. Farmers admit they are aware of the environmental hazards and ill-effect on health brought about by their practice. But they say that cost concerns prevent them from adopting alternative practices. The technology – a seeder which when mounted on a tractor makes wheat plantation possible without needing to dispose of the rice straw – is ready but costs Rs. 125,000 (the most popular brand) and for farmers, their earnings coupled with debt puts it beyond their reach. While the government is considering subsidies, Bhure Lal, chairman of the Environmental Pollution (Prevention and Control) Authority said it can afford to pay very few farmers. The power plants in Punjab that use straw as a raw material seem to provide a solution but can consume only 1.5 million of the 20 million tons the state produces annually. Absence of an immediate solution, lack of initiative by governments to make subsidies more widely available, and vote-bank politics mean that the situation stagnates in status quo even as efforts are made by groups such as ‘Young Innovative Farmers’ to spread awareness through social media. Vehicle exhaust, coal power plants, factories, cleaning solvents release pollutants into the atmosphere. 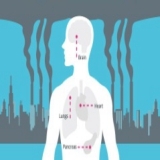 These pollutants react with sunlight, heat, moisture and other compounds such as poisonous vapors, ground-level ozone and airborne particles to form smog. 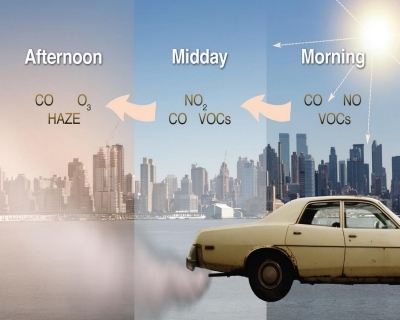 Reducing smog mainly consists of particulates and sulphur dioxide while photochemical smog has ozone along with oxidants (nitric oxide, nitrogen dioxide). Smog’s immediate ill-effect is reduced visibility. 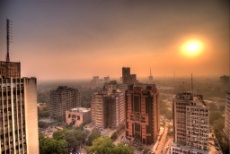 Delhi along with other large cities is victim to photochemical smog, the result of interactions between vehicular emissions, industrial pollutants and sunlight. 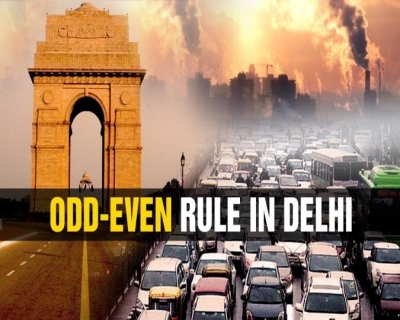 Increases in all sorts of polluting activities during winter worsen Delhi’s air. Conventional heating, stubble burning of neighboring states add to the existing high levels of pollutants following Diwali. But the situation seems to have worsened like never before this time. Arvind Kejriwal, Delhi’s Chief Minister, told a media conference, "Pollution has increased to an extent that outdoors in Delhi are resembling a gas chamber”. It is high time Delhi moves decisively to extinguish this gas chamber by addressing all issues through a comprehensive plan.